Halloween is past us and now time is going to fly as we quickly approach Thanksgiving and then the winter holidays. This is the first year in many that we will be celebrating Thanksgiving at another home. I love Thanksgiving because it allows us to invite friends that are without family and is becomes a big modge podge of folks. 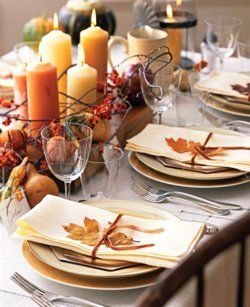 I also love getting creative with Thanksgiving Table and Thanksgiving place settings since I like to mix up who sits with who. 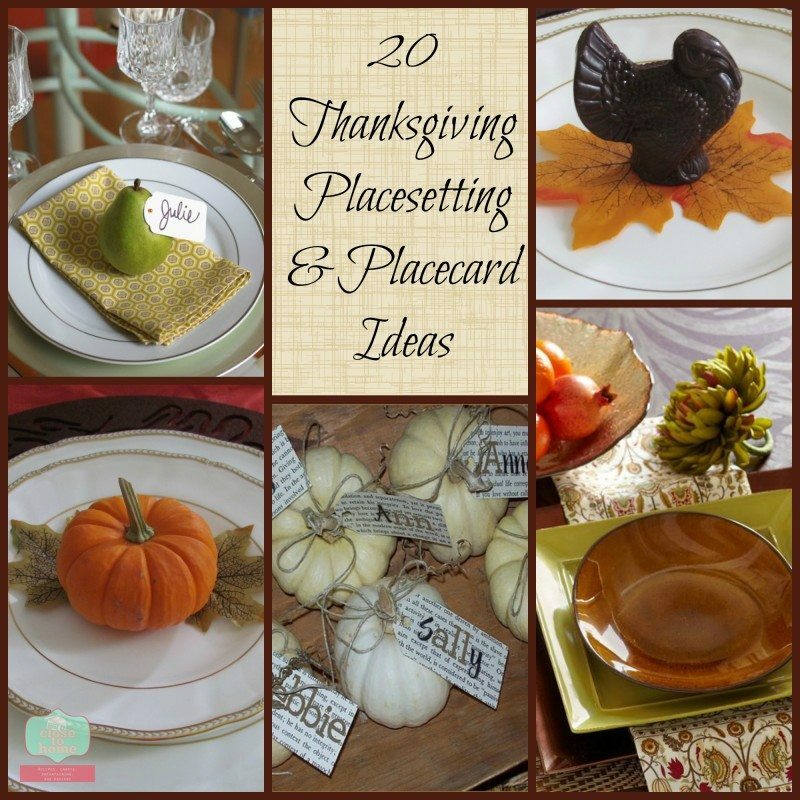 Can’t wait to hear what you think of these 20 Thanksgiving Place Settings and Table Settings Ideas. 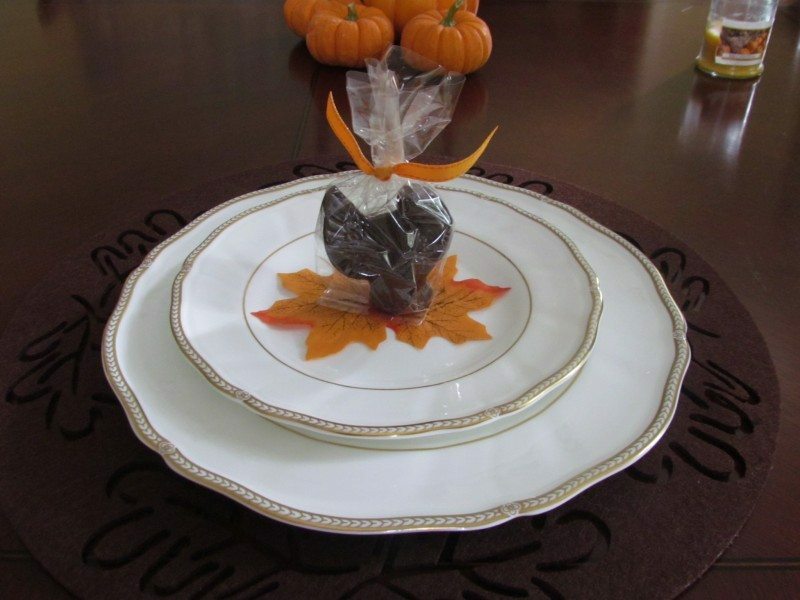 I have complied a few Fall and Thanksgiving Place setting ideas from Pinterest, Close to Home Archives and one using Lake Champlain Chocolates who graciously supplied me with some adorable chocolate turkeys to facilitate this post. 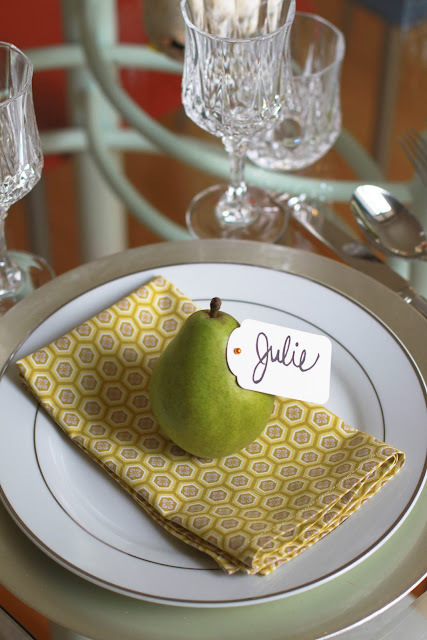 There is nothing more special than a place card that you can eat or serves as a party favor. These adorable hollow chocolate turkeys from Lake Champlain Chocolates make the perfect focus point on your Thanksgiving table setting. 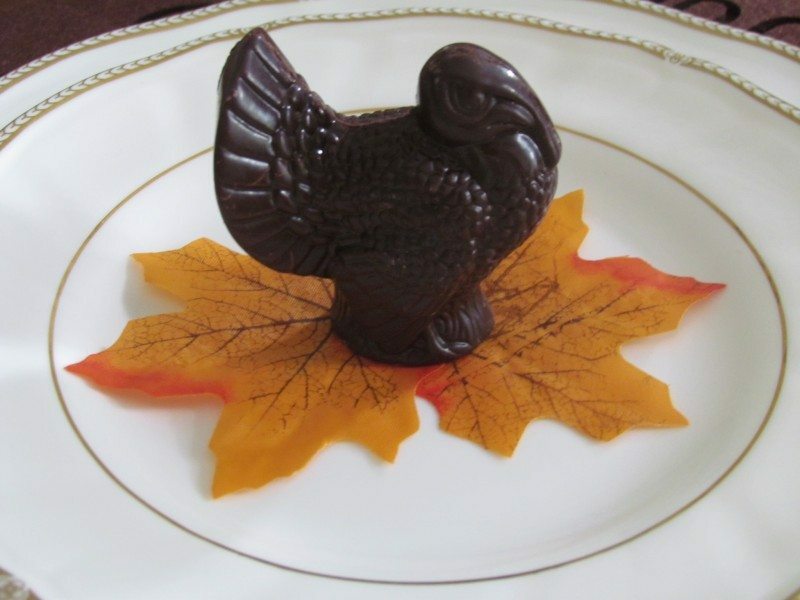 .Crafted from pure milk and dark chocolate, these whimsical place setting turkeys are a delicious holiday favorite, adding just the right touch of Vermont chocolate artistry to your Thanksgiving table. Love that you can give the adults a dark chocolate version too. The chocolate turkeys come individually wrapped for freshness but love the look of them out of the bags as well. Kids not allowed at the adult table? How about a fun themed place for the kids to eat their Thanksgiving dinner. 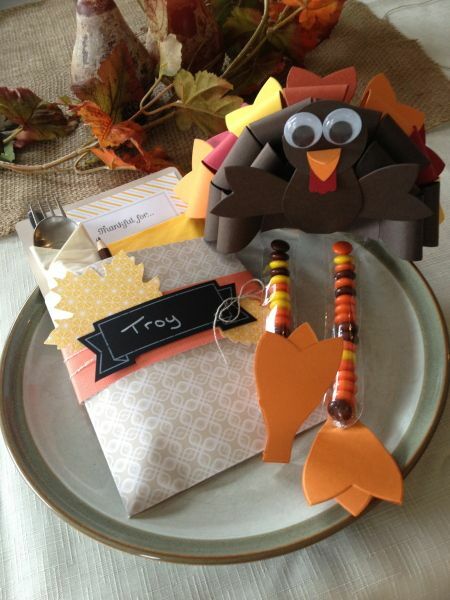 To learn to make the cork turkey place cards read this post. 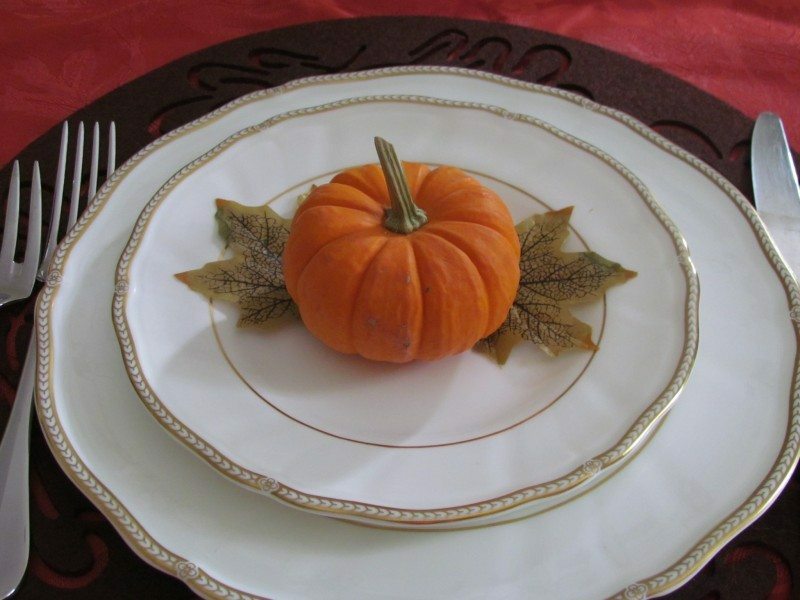 I love also using natural elements in your Thanksgiving table setting. 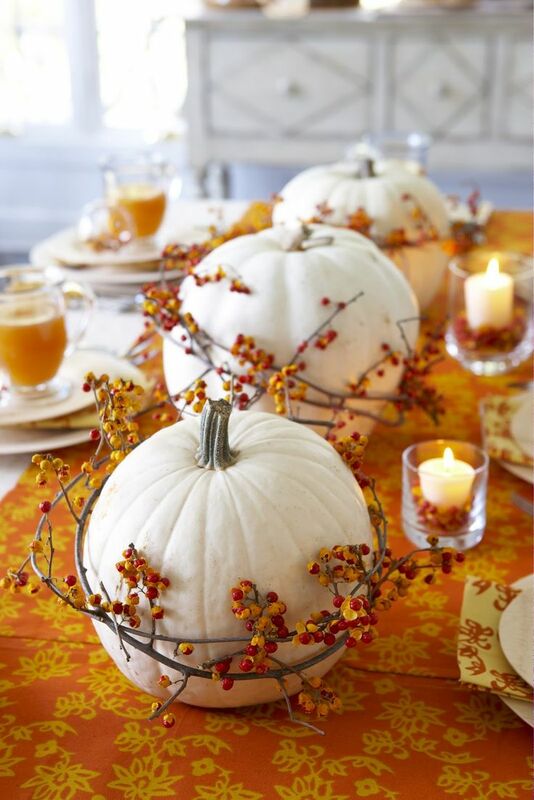 How about using inexpensive mini pumpkins on each plate setting with some fake leaves from the dollar store? Simple but also elegant and inexpensive place card idea. 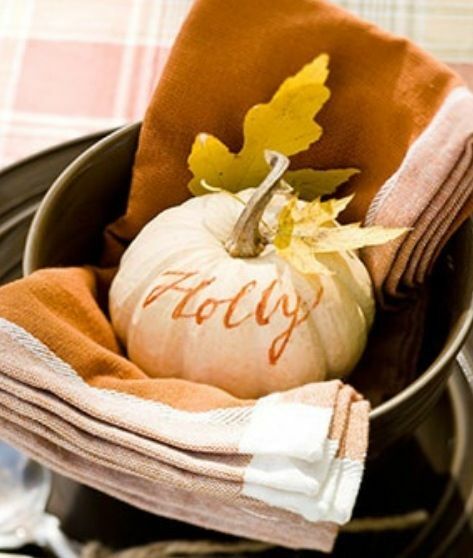 If you have more time, you can engrave each guests name on the pumpkin. Make these simple beeswax candles for a adorable Thanksgiving Party Favor. Here is a total Thanksgiving table scape. Not sure where you would put the food but love just the simple leaf at each setting. 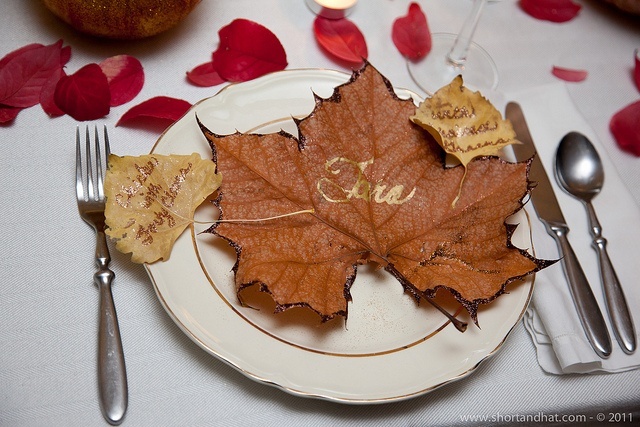 Another idea using natural elements such as pretty fall leaves as place cards. 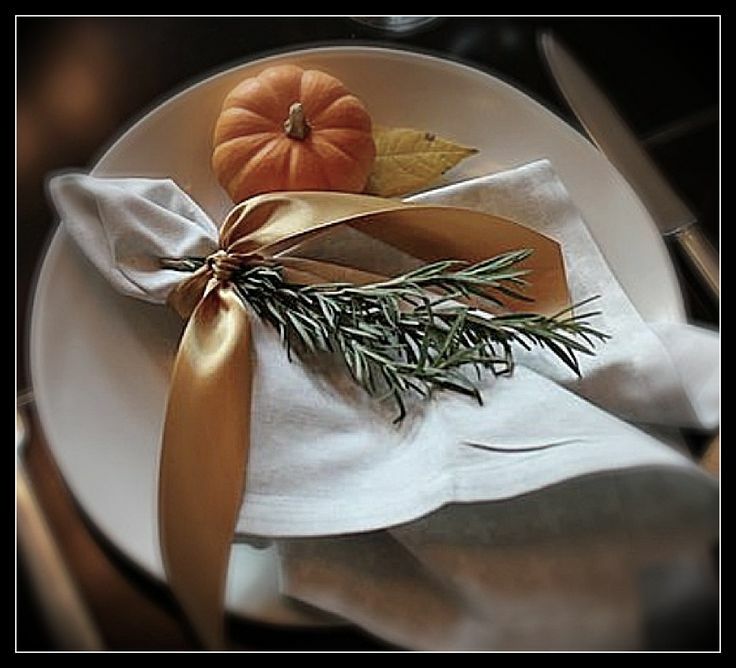 You will be cooking with plenty of herbs, grab a few extra as a table setting adornment. These pumpkins look like a gold mine. Use gold paint to adorn these pumpkins for fraction of the price. 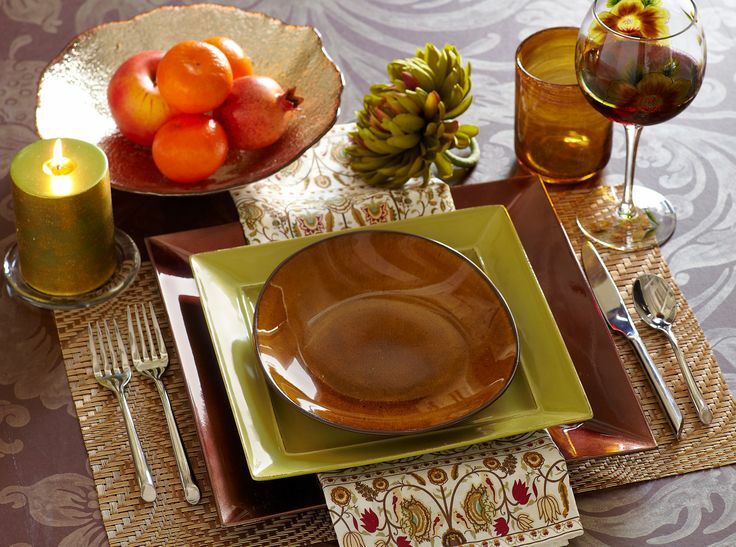 Mix and match your place setting pieces for a fall look. Make sure you eat your fruit at Thanksgiving. 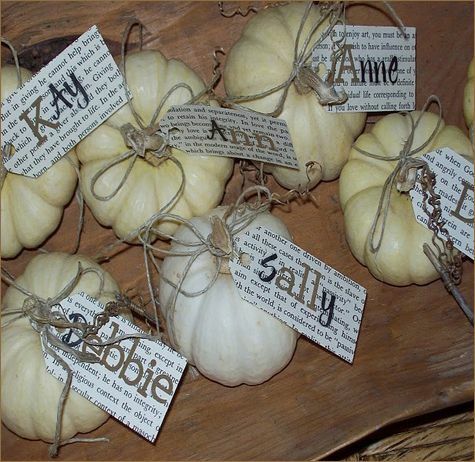 Buy a few extra pears or apples and pin your guests name on each one. More natural elements and love all the oranges and yellows in these table settings. 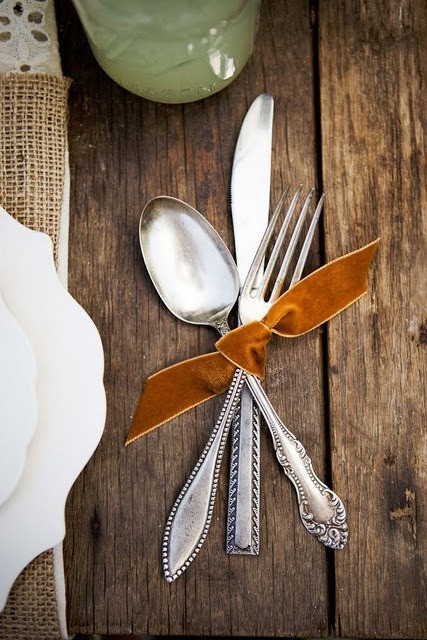 Your table can be as simple as tying your silverware in a festive bow. Don’t forget the kid friendly Thanksgiving Tables and Place Settings. 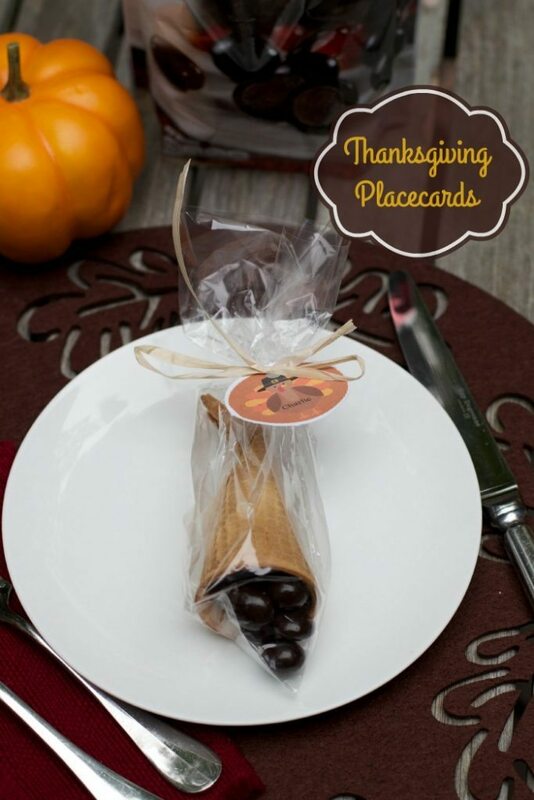 Use up old Halloween candy with these easy DIY Thanksgiving Craft. I love the pine cone turkey crayon holders. So simple and inexpensive too. 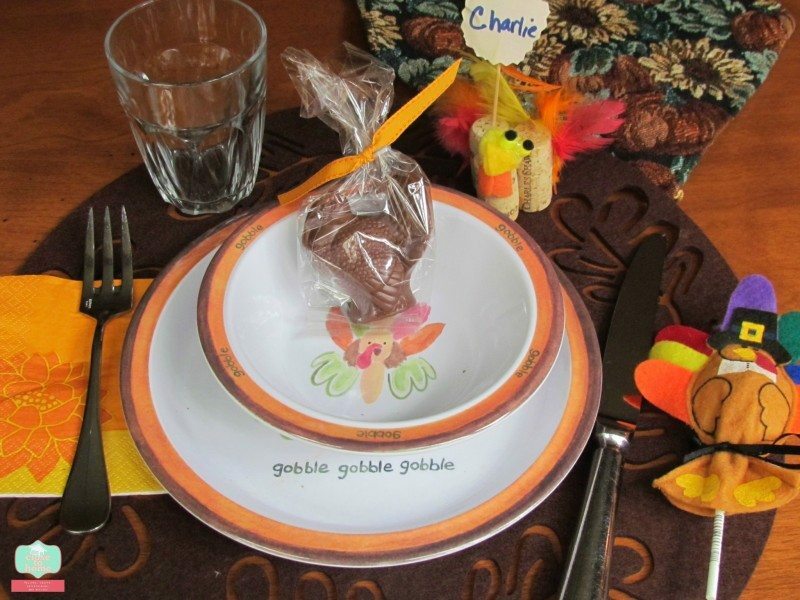 Kids might stay seated with this adorable fun kid-friendly Thanksgiving place setting. 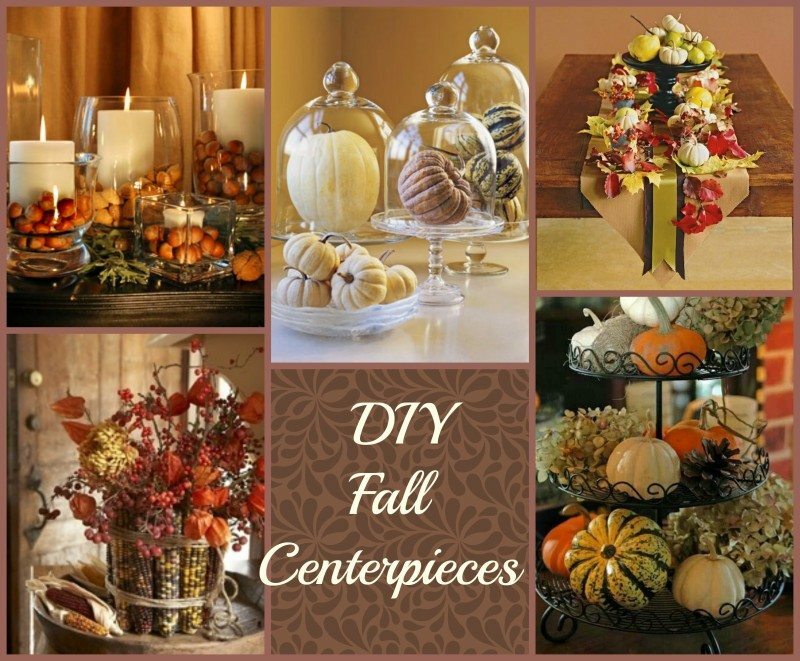 Be sure to check out our Fall Centerpiece post as well for more ideas. 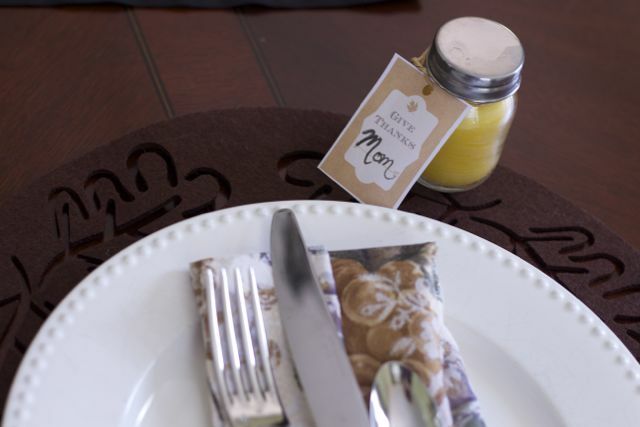 Do you set a kids Thanksgiving Table and an adult table for your Thanksgivng meal? Beautiful!! I’m going to try some of these this year!! I like the pear and pumpkins. So cute. Thanks for the inspiration.